Replaces BMW Part number 12 11 1 465 077. 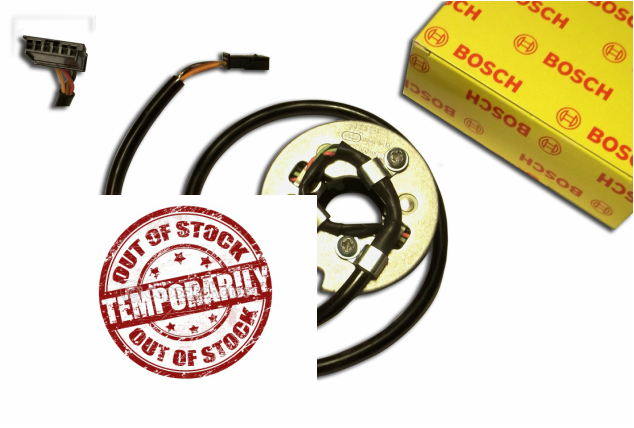 Finally, an affordable high quality direct replacement for your BMW motorcycle by Bosch. Bosch is the original OEM supplier to BMW, so you know the part is designed and engineered for your application. Comes as a complete unit with correct BMW harness connector. BMW sells these for $319.97 and may not stock it. We have these in stock ready for immediate shipping for far less then the dealer. Shop around and compare price and shipping. We strive to be the best! BMW hall sensors can fail without warning, leaving you stranded. It's not a matter of if your sensor will fail, but when. Does it make sense to replace your hall sensor with a used one? NO. Buy NEW, buy original equipment, buy with CONFIDENCE. Please Note: Like any auto parts store or dealers, we cannot except returns on electrical components. Verify first this is the part you need.